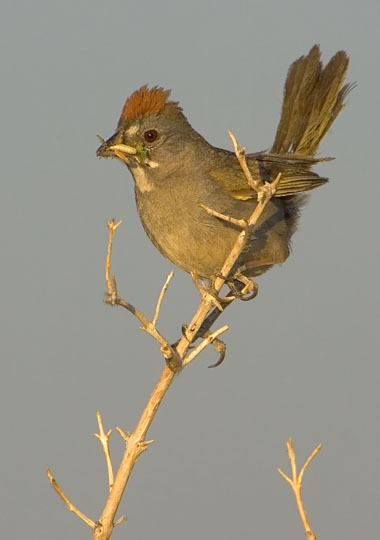 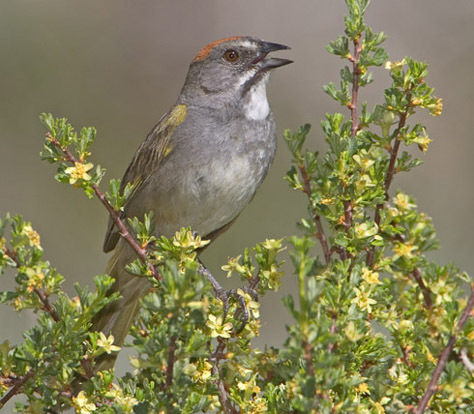 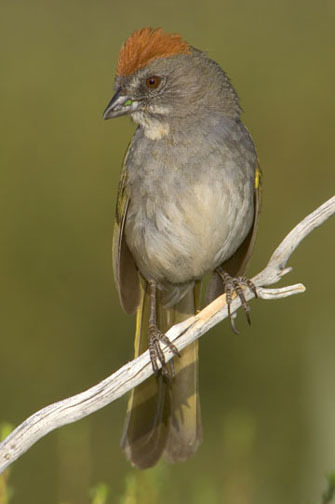 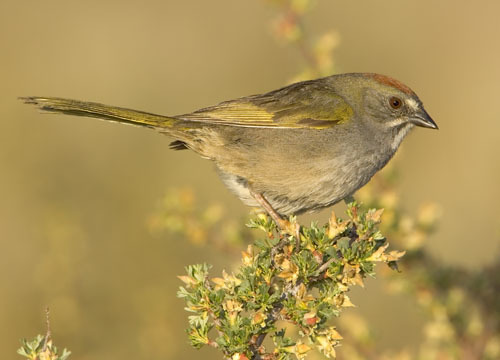 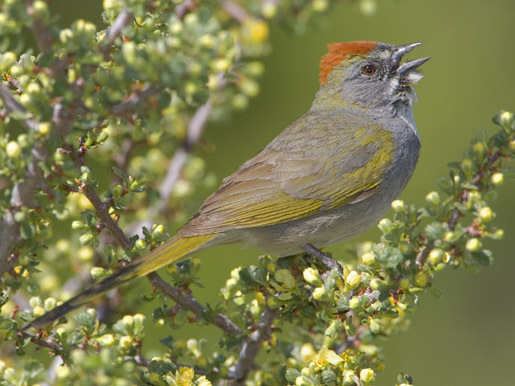 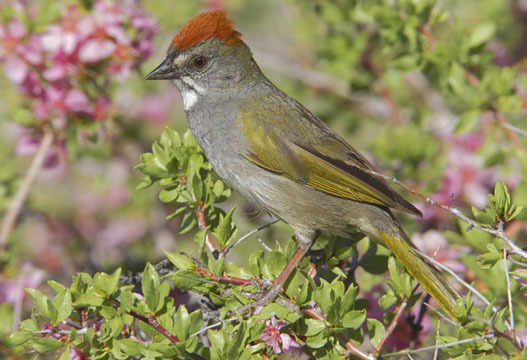 Green-tailed towhees are one of my favorite sage-scrub birds. 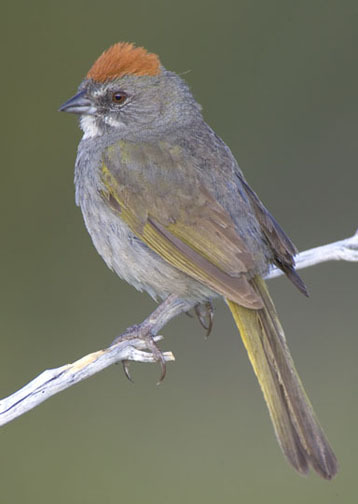 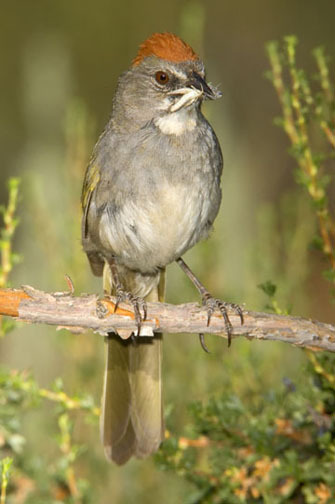 They are unusually-colored for towhees, with rusty caps and a strong yellow-green tinge in the wings and tail. 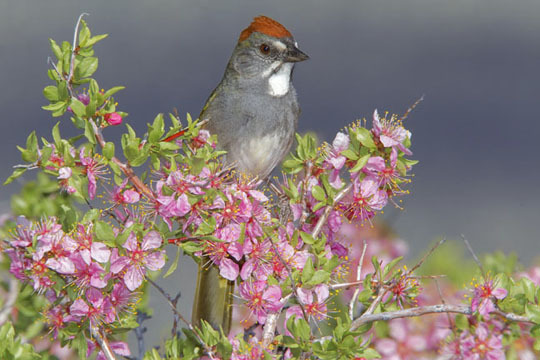 They nest in brushy country in fairly dry habitats, and the birds at upper left and below (in fresh breeding plumage) was in McGee Creek Canyon in Mono County, California. 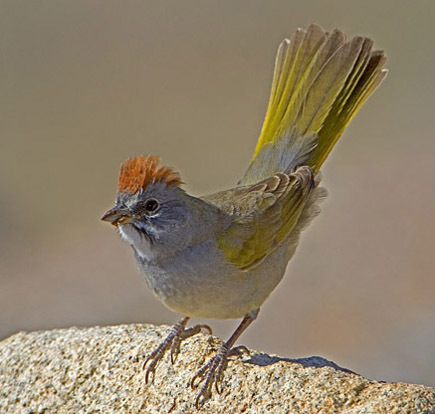 The towhee at right was photographed during post-breeding migration above treeline in the White Mountains of eastern California. 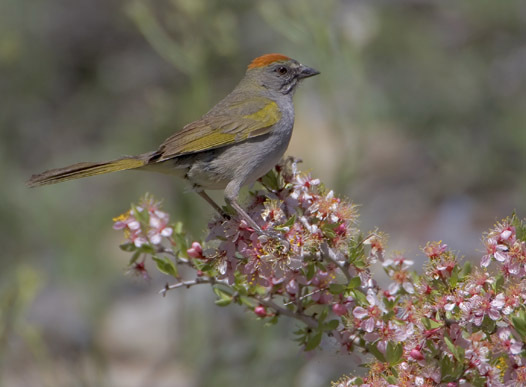 The breeding birds are sitting on flowering bitterbrush (left) or desert peach (below). 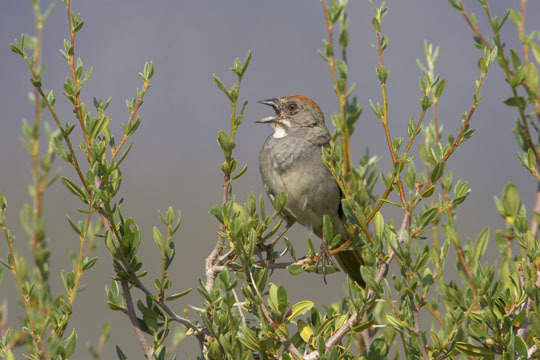 At the bottom of the page is a bird breeding at the Sierra Nevada Aquatic Research Lab, in Mono County, California.